Anyone can be wrong… about a team, about a player, about a coach. You’ll find plenty of people who had the Philadelphia Eagles and Indianapolis Colts meeting in the Super Bowl. How are those picks looking right now? Every year, NFL general managers risk their jobs on whether a certain player will be better than another one in the NFL Draft. The entire NFL draft analysis industry annually has players ranked from 1 through 1,000 and then gleefully calls the first-round picks who don’t pan out “busts” despite the fact that most busts were projected as first-round picks in the first place. But you don’t often see the experts wrong about an entire division in their preseason predictions… and it’s beginning to look like everyone who said the NFC South was the NFL’s weakest division, that it would (guaranteed!) only put one team in the playoffs and that 8-8 or (can you believe it?) 7-9 might just be good enough to win this awful division were wrong. Three weeks into the season, the Tampa Bay Buccaneers are the pretty bad team everyone knew they would be. They’re rebuilding. They’re not supposed to be good yet. The New Orleans Saints have not rebounded from last year’s subpar effort and, in fact, they look even worse, if anything. Last Sunday, Drew Brees didn’t even play, so en route to an 0-3 start they had Luke McCown under center. It definitely looked like the Saints, whether they thought they were or not, were rebuilding as well. And the Atlanta Falcons? Well, they’re rebuilding too, right? They were lousy last year. They miss Tony Gonzalez. Blah blah blah. Are people really surprised that the Atlanta Falcons, who now stand 3-0 having beaten the three best teams in the NFC East, are a lot better this season. Let’s remember, last year their offense was decimated by injuries. So this year, without having to do much in the draft or through free agency, they get an offense with the excellent but underrated Matt Ryan at quarterback, one of the best receiver tandems in the NFL in Roddy White and Julio Jones, and an offensive line they’ve been working on, highlighted by spending last year’s sixth-overall pick on offensive tackle Jake Matthews. To juice up the running game, they spent a third-round pick this season on Indiana’s Tevin Coleman to pair him up with last year’s draft pick Devonta Freeman. Yeah, they have a damn good offense, and they didn’t have to spend a king’s ransom to get it. 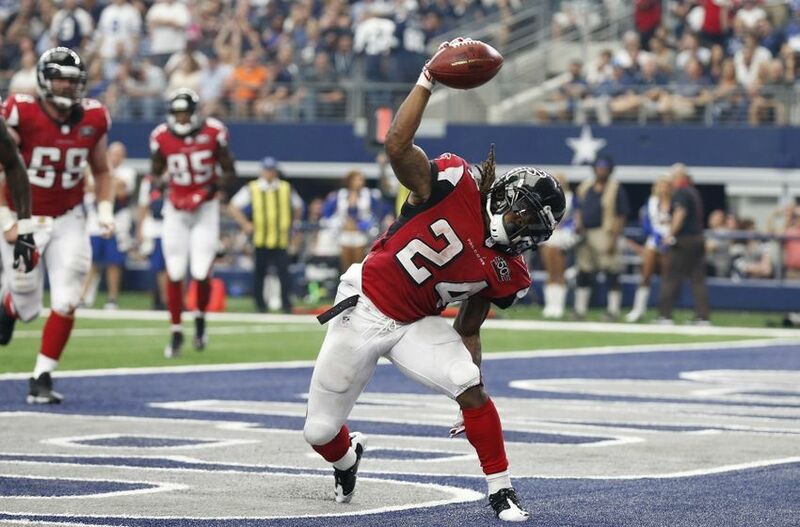 To pair with it, they have a defense that’s in the process of being revamped by first year head coach Dan Quinn. You may have heard of him — his last job was defensive coordinator for the Seattle Seahawks, the best defense in the league three years running. So no, it’s no surprise Atlanta is a damn good team so far, and they will be winning more than eight games this year. But wait! They have company. The Carolina Panthers, who have more or less had an exclusive deal on having the best defense in the NFC South for a while, are also 3-0. Granted, they haven’t played the toughest schedule thus far, but just how tough do you think their schedule will get. They play both the Seahawks and Green Bay Packers, but they also play the Eagles and the Colts, who both look about as stable as a Jenga tower at a drunken party. Add in two more games against divisional buddies Tampa and New Orleans and you’ve got a favorable outlook. Their toughest games of the year might be the two showdowns they have coming up with the Falcons. Carolina’s weak spot has been their lack of firepower at the skill positions, but for now they’ve been riding on the multi-talented shoulders of their quarterback Cam Newton, another underrated former No. 1 overall pick who, while not a superstar, is most assuredly not a bust. There’s a long list of NFL teams that would gladly trade their busted former first-round pick to get Cam, but he isn’t going anywhere. Not only does he read defenses, he’s friendly too! And that’s the point. Both Atlanta and Carolina look too good to miss the playoffs. You can put Arizona in that column as well. Any team that had some other plan of action for getting to the postseason is now clearly on notice. 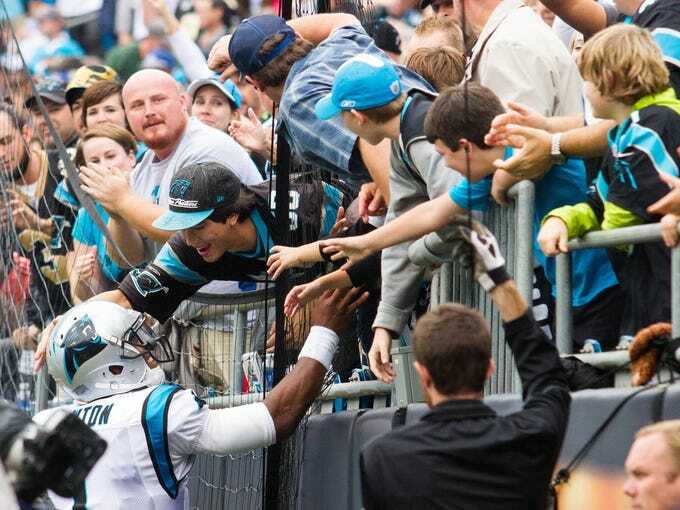 It’s crowded at the top, and the NFC South has no intention of being underrepresented.